Blackpool is a seaside resort on the Lancashire coast in North West England. The town is on the Irish Sea, between the Ribble and Wyre estuaries, 15 miles (24 km) northwest of Preston, 27 miles (43 km) north of Liverpool, 28 miles (45 km) northwest of Bolton and 40 miles (64 km) northwest of Manchester. It had an estimated population of 142,065 at the 2011 Census. While Blackpool hosts a large number of small businesses and self-employed people, there are some large employers. The government-owned National Savings and Investments is based at Marton, together with their Hardware random number generator, ERNIE ( "Electronic Random Number Indicator Equipment"), which picks the Premium Bond numbers, while other government agencies are based at Warbreck and Norcross further up the Fylde coast. Burton's Biscuit Company Tangerine Confectionery produce biscuits and other confectionery products, Klarius UK manufactures automotive components, Victrex manufactures high performance polymers and the Glasdon Group is a plastics manufacturer making litter bins, park benches and reflective road signs. Blackpool is often described as the "gay capital of the North" (with Brighton often being described as "the gay capital of the South"). Blackpool had its first gay pride celebration in 2006. Historically, seaside resorts have been able to provide niches for minority groups. 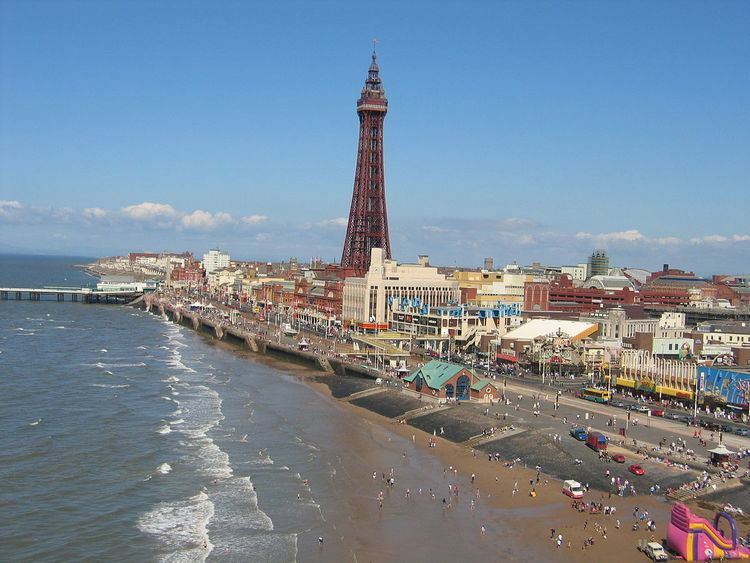 Blackpool, like other English resorts, has had a reputation for being a safe community for gay people. During World War II, there was a proliferation of cafés, pubs and clubs where homosexual men could meet in Blackpool. In the 1990s, the town began to be promoted as a gay tourist destination. Blackpool contains several bars, pubs and nightclubs aimed at the LGBT community. These include Funny Girls (a burlesque cabaret showbar), Buzz, Flamingo, the Flying Handbag, Roxy's, Mardi Gras, KAOS and Taboo/Lucys @ tabago. 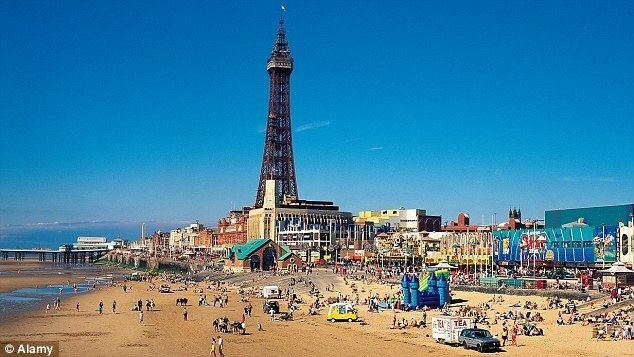 Blackpool is continually striving to improve its position within today's tourist industry. One controversial proposal, which had the involvement of the local council, was to transform Blackpool into a casino resort along the lines of the Las Vegas Strip and Atlantic City, making it the centre point of gambling in the UK. During all the seven-year campaign the Council did not allow a single public meeting, where the public could hear the case for, and the case against the proposals. Early in the campaign a survey indicated 95% of Blackpool residents would prefer non-gambling related regeneration. For over five years the Gazette refused to publish any of the concerns of those critical of the slot machine proposals. Ultimately, Manchester was selected for the initial trial by the Government's Casinos Advisory Panel. Since this decision, Blackpool's council and MPs have lobbied Parliament extensively, claiming their bid was misunderstood. 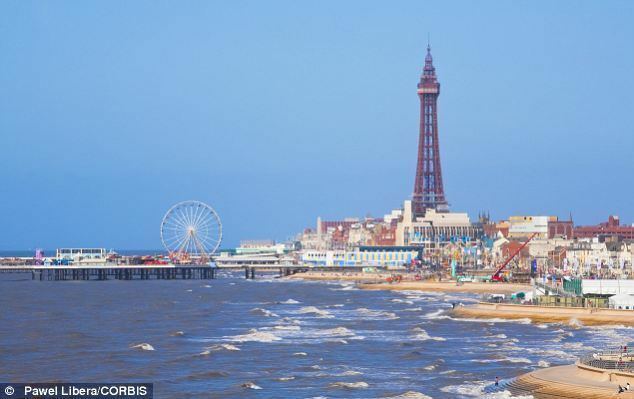 The local newspaper, the Blackpool Gazette, sent a petition signed by over 11,500 local residents and visitors demanding the decision be reconsidered. On 29 March 2007, the Advisory Panel's recommendations were approved by the House of Commons, but rejected by the House of Lords, meaning the bill would be reconsidered by parliament. However, in early 2008 the House of Lords voted against the super-casino proposal, and the Government proceeded no further with the idea. In early 2013, Grime music in Blackpool increased dramatically with the invention of BGMedia. They now have over 28 million views as they were made famous after becoming viral on YouTube. Other songs written about Blackpool include Oh Blackpool by Beautiful South and several different songs called Blackpool, by Sham 69, Macc Lads, Roy Harper and The Delgados. "Blackpool" is also the title song from a production co-written with author Irvine Welsh and Vic Godard (Subway Sect) in 2002, later released as a four-song EP called "Blackpool". A song called "Blackpool Fool" appears on the Frank Sidebottom album A,B,C & D(1997). Fylde Community Radio for the Fylde Borough, who are aiming for a FM licence for 2013, available on line. National television with local opt outs is provided by ITV Granada, the ITV franchise holder for the North West, BBC North West, the regional BBC station for the North West region. Blackpool has 2 main venues for boxing fight nights, they are the Tower Circus Arena and the Winter Gardens which both hold regular fight nights throughout the year. Events at these venues have been screened on Sky Sports, British Eurosport and Channel M. Current promotions stables who host events in Blackpool are Matchroom Boxing and VIP Boxing Promotions. MMA fighters Leeroy Barnes who fights out of Cage Warriors, Shak Khan who is also a Pro wrestler/Street (Shoot) fighter and Karl Etherington the son of Judo champ Bill Etherington are also from Blackpool. Blackpool Cricket Club are Blackpool's major cricketing team; they won the League Cup in 2013, and were National Champions in 1990. They won the Lancashire Cup on eight occasions between 1973 and 1996 and were League Champions fourteen times. Their home is in the grounds of Stanley Park, which also hosts Lancashire County Cricket Club. WWE held a tournament at the Empress Ballroom on 14-15 January 2017 to crown the inaugural WWE United Kingdom Champion. In attendance were Regal and WWE legend Triple H, who commented to local journalists, "Blackpool has this reputation. It’s easy to get to, a lot of people come here and when they come here they lose it and that’s what we wanted. I almost feel like there wasn’t really another choice.." Tyler Bate won the inaugural tournament to become the first WWE United Kingdom Champion. In 1971 Supt Gerry Richardson, 38, was shot dead while chasing a gang of London thugs who had robbed a resort jewellers. The five-man group bungled the raid on Preston's Jewellers in the Strand. They arrived late and failed to check a back room where the shop manager had already raised a silent alarm connected to Blackpool Police Station. As the gang made their getaway they became involved in a high-speed chase through the streets of North Shore which ended with Supt Richardson's tragic murder at the hands of "Fat" Freddie Sewell. Supt Richardson was posthumously awarded the George Cross in 1972. Wounded Inspector Carl Walker also received the George Cross. Robert Crampton (b. 1964) – The Times journalist, born and spent the first six years of his life in the town. Ricky Tomlinson (b. 1939) – actor (Bobby Grant in Brookside), (Jim Royle in The Royle Family), born in Bispham.